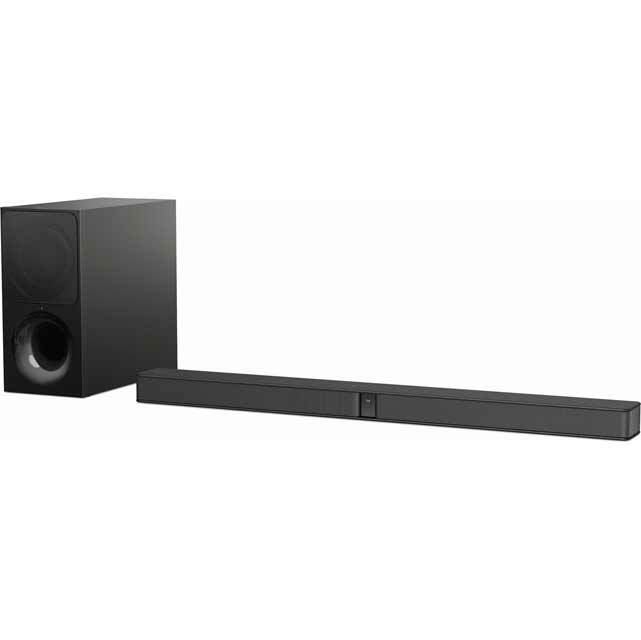 This sleek and compact sound bar from Sony delivers incredible sound whatever you’re watching, and suits TVs 32 inches and above. It is Bluetooth enabled, so you can link wirelessly to your devices, while NFC connectivity lets you pair your compatible phone with a simple touch. Another great way to listen to music is via the handy USB port – just insert a flash drive to enjoy your favourite tunes. 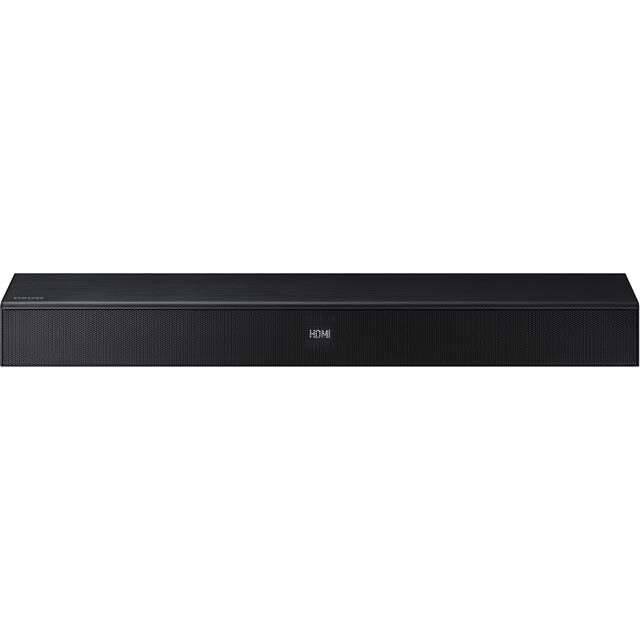 This sound bar also has a separate wireless subwoofer, so you’ll always experience deep, booming bass tones without the need for messy wires. 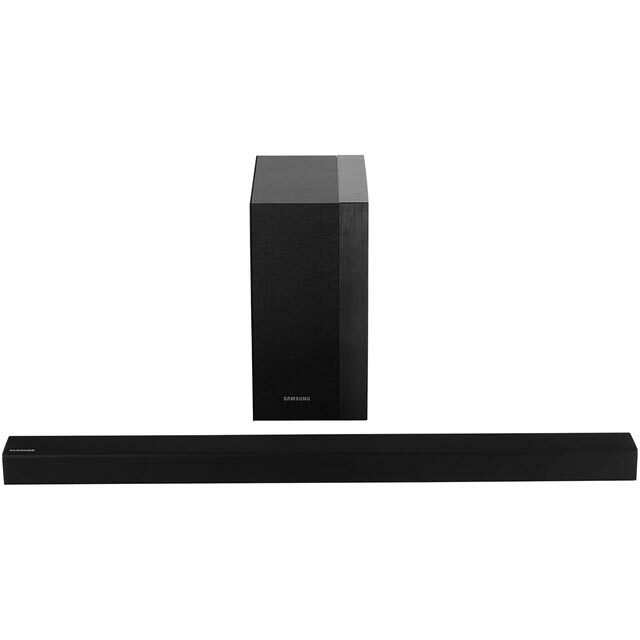 This soundbar has been intelligently designed for TVs sized 32 inches and above. This means that the sound produced by the bar syncs up perfectly under your TV to produce crisp, clear sound with a good sense of balance. So whether you’re watching the latest blockbuster or your favourite programme, you’ll be able to enjoy incredible audio with this soundbar. 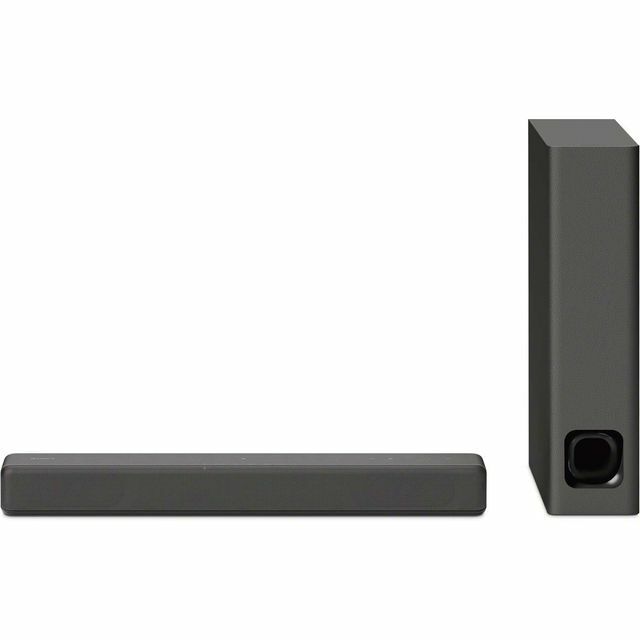 You can easily control this soundbar from your smartphone or tablet – thanks to NFC (Near Field Communication) connectivity. Simply enable NFC on your compatible device, then touch it against the soundbar to make an instant connection. You can then control your music from your device, so you can enjoy freedom of movement with no wires. This is excellent! The surround sound you get from just one bar and a subwoofer is incredible! We only have it in when we are watching a film or a footy game and We only have a fairly small living room so it might be easier to get the cinema experience but I think even in a room twice the size you would still get the same incredible sound/experience. Definitely worth the money!! Great noise from this, wasn't sure what to expect, used to the old 5 speaker surround sound. Definitely recommend. Easy to set up and sounds great. The bass really comes through and makes viewing much more pleasurable. Does everything promised. Reviewers who have no bass etcetera have simply not read the instructions!